Since I was a kid, I’ve probably been using 4 toothbrushes a year on average (dentists recommend replacing toothbrushes every 3 months and the bristles start to splay after that time anyway). I’m now 25 years old, which means I have used and throw away around 100 toothbrushes already. If I was to live to 85, that would be 340 toothbrushes in landfill. That might not sound too bad for a whole lifetime – but the population of the UK currently stands at 61,399,118. And if you think that the majority of people are probably doing the same, that’s alot of plastic going to landfill – approx 245,596,472 toothbrushes every year! Electric toothbrushes are a good alternative because you are only throwing away the head each time – however, you need to keep your brush charged, via the mains or batteries. This type of brush also comes with heaps of packaging, lots of plastic accessories (mine came with a head sanitiser unit and a charging unit, replacement head and head cover!) and when your brush motor dies, it’s not replaceable in most cases goes in the bin. The ideal option is therefore a manual brush that is either made from recycled materials, can be recycled or you only replace small parts of it like the head. “We make it and we take it back. When you send your Toothbrush back to us, a partner company will grind it up and turn it into plastic lumber for use in new picnic tables, park benches, and boardwalks”. I think the fact that you can send your old toothbrush back to Preserve for recycling makes this product a very low waste option. Not enough companies take responsibility to for what happens to their product at the end of it’s life, so Preserve get big bonus points for this. A simple, functional low waste toothbrush option where you only replace the head each time. A biodegradable, natural bristle option helps to reduce the amount of plastic used. The handles of Source’s toothbrushes look ergonomic and comfortable to hold – very different from the usual thin plastic handles on toothbrushes. A toothbrush handle made from recycled dollar bills is a novel idea. 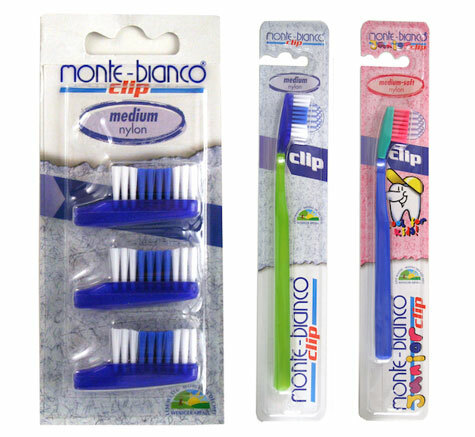 Do you have any favourite low waste toothbrushes? Have you tried any of the toothbrushes mentioned above? I have one of the Preserve brushes. They are extremely odd to hold however they do reach into your mouth very well. In that respect its far more comfortable than the standard shape ones I have used. Will have to try a Source brush at some point. Where can you get the preserve toothbrush in the uk?